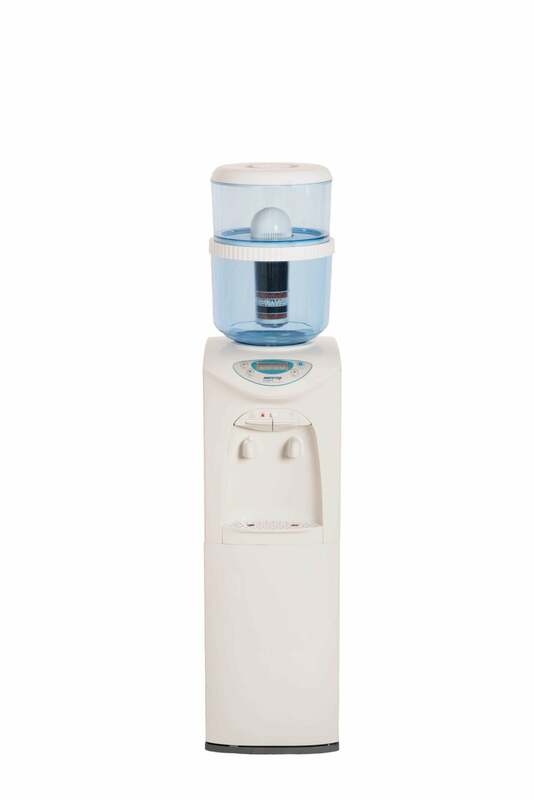 Our Freestanding Awesome Cooler water dispenser delivers premium quality ice cold & piping hot awesome filtered water. NOW ON SALE – ACT FAST! FREE Genuine 8 stage KDF water filter and now larger 20 litre BPA free bottle set included. This stylish FREESTANDING WATER COOLER is the perfect solution for your home or office hot and cold filtered water requirements. If you are looking for a hot and cold water dispenser for your home or office this could be the perfect solution for you. The FREESTANDING WATER COOLER has a smart hot water safety lock feature as well as the easy to use digital display that enables you to have total control over both the hot and cold water temperature at all times. The premium quality 8 stage kdf carbon mineral water filtration technology allows you have pure healthy alkaline filtered water at an affordable price twenty four seven with minimum savings of 80% compared to bottled water. If you are using a FREESTANDING WATER COOLER in your home, office or workplace as your water filter we recommend replacing the drinking water filter every six months. If you are using a FREESTANDING WATER COOLER in your home water filter we recommend replacing the drinking water filter every six months as well to ensure optimum performance. FREESTANDING WATER COOLERS are Australian standard tested and certified along with our industry best two year warranty on the compressor that will allow you to purchase this FREESTANDING WATER COOLER with utmost confidence. If you need clean pure filtered awesome hot or cold water to make that perfect coffee or simply that awesome glass of chilled filtered water this FREESTANDING WATER COOLER it will serve you well. BPA free food grade premium quality bottle set has enough volume for the busiest office or largest family. Easy to use simple digital display will give you total control & peace of mind with quick reference icons and color display so you always know that your Awesome Cooler is functioning correctly. Utilize where bench top space is at a premium. 2 year warranty on the efficent electric compressor that economically chills the water is very quite and you can hardly hear that it is running at all. Tested to Australian standard SGS/140380 current. Awesome Cooler dimensions are 36cm x 31cm x 94cm. STAGE 1 – Primary Filter felt pads – Effectively removes rust and sediment particles and stops propagation of bacteria. STAGE 2 – KDF – Removes chlorine, pesticides, organic matter, heavy metals, iron, lead, nickel, mercury and arsenic. STAGE 3 – Activated Carbon – Removes chlorine, organic sediment and bad smell & taste. STAGE 4 – Mineralised Balls – Restore natural trace minerals required by the body, such as iron, zinc, lithium, magnesium, potassium & iodine. KDF is a high purity copper zinc formulation that uses a basic chemical process known as redox to remove chlorine, lead, mercury and iron and hydrogen sulphide from water supplies. 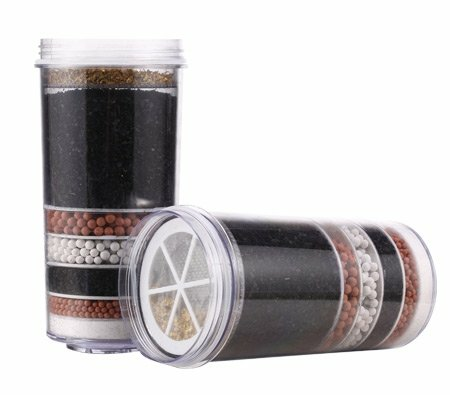 Dont forget to check out our awesome magnesium prill beads when placed in the bottom of your water cooler bottle they make the water into alkaline water.